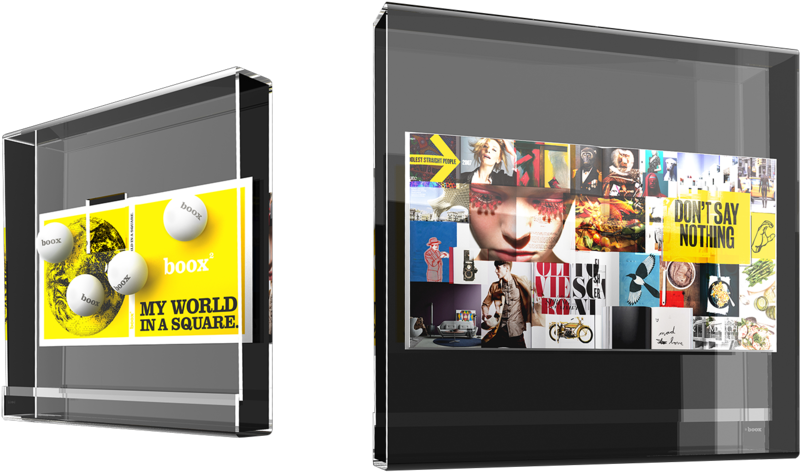 Boox - The world’s first display designed for books and magazines is now square. 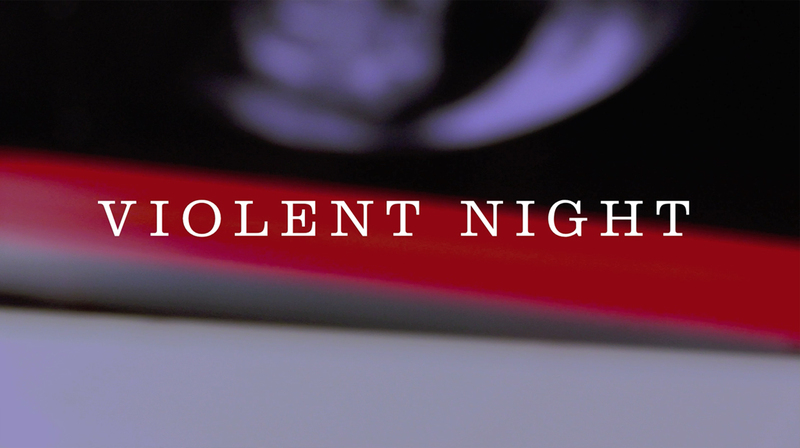 There’s always an image, a quote or a typeface in a book or magazine that I need to hang on to a little longer as a source of inspiration or excitement and as an expression of who I am. This was the insight that drove me. I soon realised that there was no answer for this spontaneous and recurrent desire to display and live with “my” images around me. This was how BOOX was born and this is the design model I advocate: A genuine need leads to a solution; first design the experience, only after the forms and materials to deliver it. I materialized this idea with a transparent acrylic box and a few months later, the fixation system with foam balls. 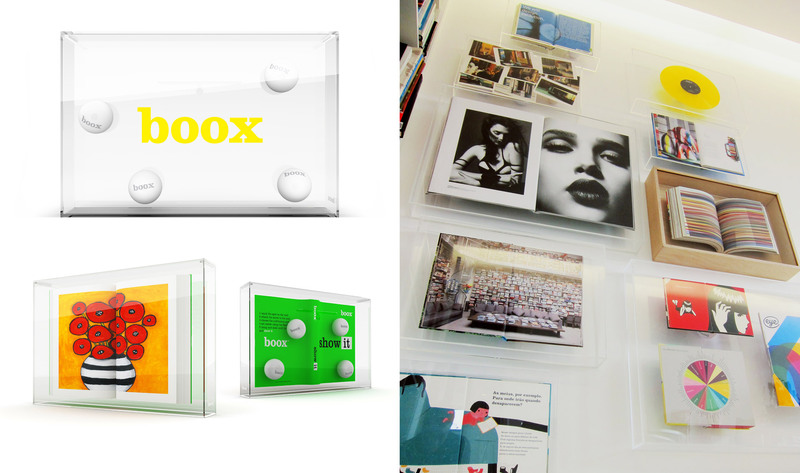 From this combination, box plus balls, I’ve just designed the world’s first display for books and magazines. A fantastic team took one year to make it happen: A tool that allows everybody to become a compulsive “wall editor”, a quick and easy to use, durable piece, whose elementary geometric shapes and contrasting materials, crystalline transparency and opaque white balls, give it a unique and iconic aesthetic value but, at the same time, allow the content to be the real star. 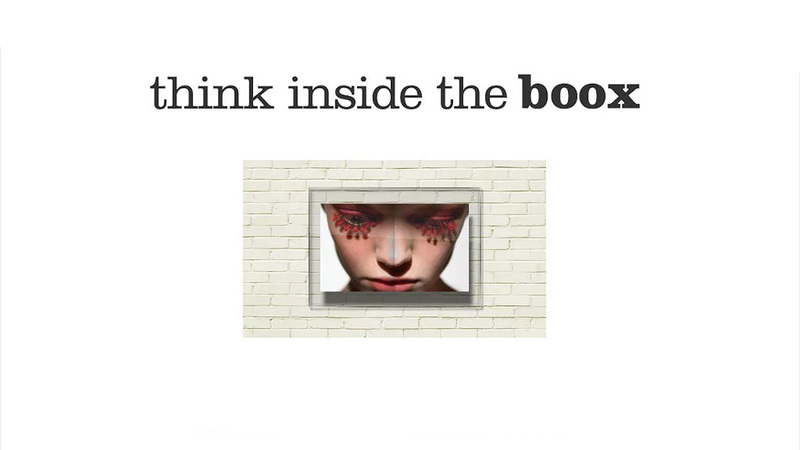 BOOX is also an evidence of Design as a complete business thinking process, in which product, brand and communication are developed in perfect symbiosis. Pedro Albuquerque, Designer, on BOOX invention and meaning. 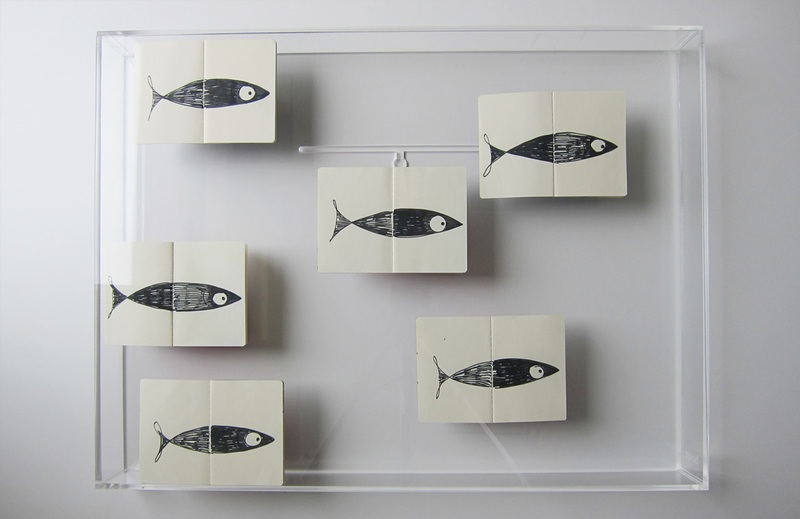 The world’s first display designed for books and magazines. Pinch the balls behind it. Hang it or stand it.